In the almost ten years since a neck injury made it impossible for him to play guitar in the customary manner, the Pennsylvania-based guitarist Sterling Koch has become a proficient, assured slide guitarist. Koch plays exclusively in the lap steel style. 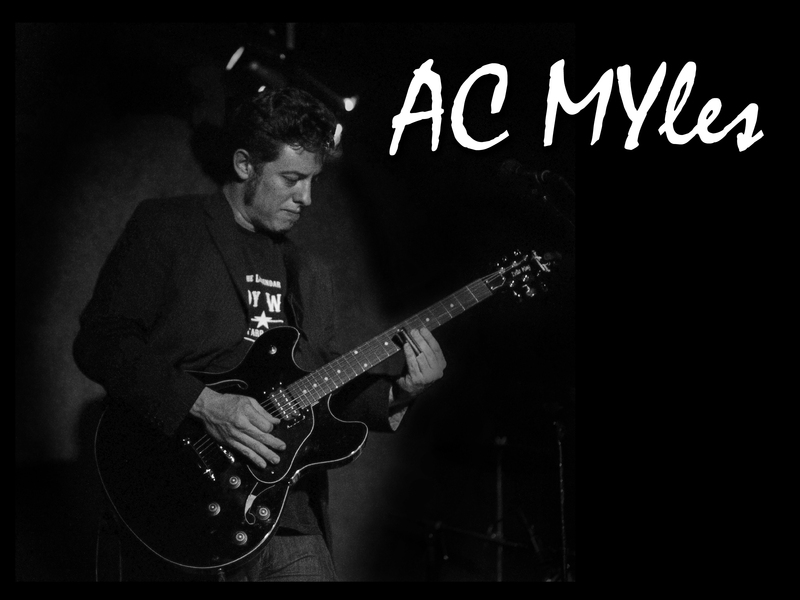 Despite his friendship and association with several of the Sacred Steel school of players from the COGIC tradition, including Calvin Cooke, Aubrey Ghent, and Darick Campbell, Koch’s playing is staunchly in the style of blues rockers like Rory Gallagher and George Thorogood. 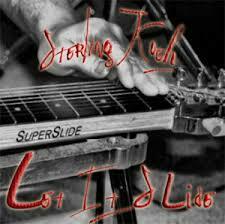 His recently released fifth album, Let It Slide, delivers 13 solid blues rock songs. For all its rock feel, Slide remains centered in blues. The mid-tempo shuffle “Too Sorry,” a Doyle Bramhall composition, features a solo that begins with variations on a rhythmic pattern before easing into Duane Allman-like high register playing. A second solo is just as effective. Koch turns up the heat on “Wrong Side Of The Blues,” an uptempo box shuffle, when he steps on a wah pedal during his stormy solo, and on his cover of Rick Vito’s “My Baby’s Hot,” where he supercharges Elmore’s trademark “Dust My Broom” licks and shows a playful side in fills that whip up the neck of the guitar. The cover of “It Hurts Me Too” may be leagues away from Tampa Red or Elmore James, but is well within bluesy territory. Koch’s singing and playing here are notably strong. Several boogie-style numbers are especially successful. A cover of Bramhall’s “Shape I’m In” opens the set with an insistent, redlining pulse. Chuck Berry’s old trick of mixing feels, in which the guitar plays straight time against a shuffle rhythm, is resurrected (here inverted, so that the guitar plays the shuffle feel while the rhythm section plays straight eighth notes) to excellent effect. Koch’s high-energy “I Wanna Be Your Driver” not only takes one of Berry’s favorite subjects (the automobile) as his central metaphor, but proves that his patented “Johnny B. Goode” moves can be replicated by a slide guitarist. Koch updates K.C. Douglas’s Oakland blues classic “Mercury Boogie,” adopting the “Let’s Work Together” groove pioneered in the later “Mercury Blues” version of the song by Steve Miller. The figure Koch repeats as an instrumental hook is downright primitive–and irresistibly appealing. On the subtler side, the slow, bluesy “I Only Want To Be With You” sports a cool chromatic figure and a keen dynamic sensibility, building in drama before a well-constructed guitar solo. Not the Doc Pomus-penned Ray Charles number, Koch’s “Lonely Avenue,” a moody instrumental with a lyrical edge reminiscent perhaps of Fleetwood Mac during the Green-Kirwan-Spencer era, is among the most powerful pieces on the album. Koch recorded Slide with his working rhythm section of Gene Babula (bass) and John Goba (drums). While the tandem is never very loose, and doesn’t swing much, I have to say I don’t miss that flavor in this context. The reliable, keep-it-simple approach works perfectly, and although the feel is pretty firmly in the rock camp, it is never overbearing, nor is it tiresome to listen to. Koch’s vocals are a bit flat in affect, but competent, capable, and never mannered (a big plus in my book). And he can play guitar, beyond any question, but avoids pyrotechnics: his tones, leads, and rhythm parts never get much heavier than Billy Gibbons’s. Restraint of this sort is too rare among blues rockers, and much appreciated here. Let It Slide will surely be welcomed by those with a taste for the music of Johnny Winter or early ZZ Top.